Model dedication and hard work by providing 100% to every athlete no matter how young or old, their level, or their capability. Encourage our athletes to “work hard” and “play hard”. With focus on hard work and dedication, NEG promotes that if you train to the level you want to be, you can achieve it. Encourage a family environment with the young athletes looking up to the older more experienced athletes, and those athletes, watching out for our junior gymnasts. 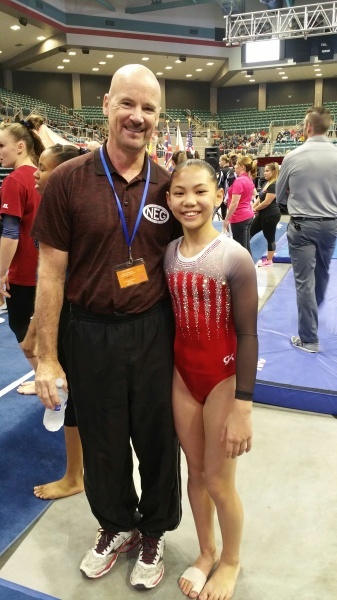 Mark is the mainstay behind National Elite Gymnastics. Mark received his Bachelors in Education from the University of Memphis where he was a three-year letterman in the sport of gymnastics. Mark dabbled in building contracting for a couple of years, and realized his real passion was in the sport of gymnastics. He started National Elite in 1988 in the South-central part of Austin. As his business thrived, he created a vision and made it come to fruition. He built a world-class 30,000 sq. foot gymnastics facility with the ground floor hosting a gym for recreational classes and cheerleading, a pro-shop for gymnastics and cheerleading apparel and a gym dedicated to his team program. The upstairs hosts the after school and camp programs with break rooms, rooms for arts and crafts, and games as well as a theatre room for relaxation. The upstairs is also host for the UT Charter School. Mark’s kind heart, dedication for perfection, and strong gymnastics background make him a coach and owner that gymnasts love, staff like to work for, and parents believe in. While, Mark’s primary focus is on the optional and more advanced athletes, he enjoys coaching all levels from the new team athletes to the elite athletes. 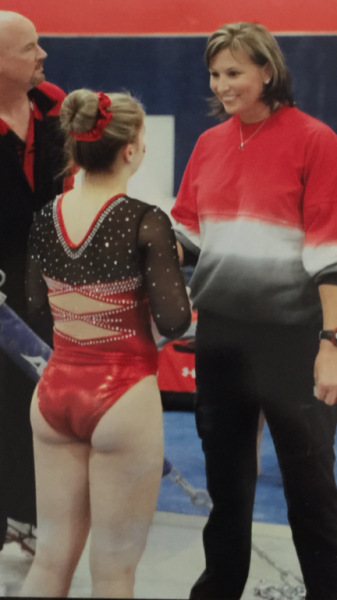 Kristin joined the NEG staff as an assistant coach in 2005, primarily focusing on beam, floor and choreography. Kristin is a graduate of Iowa State University, where she majored in Management Information Systems and minored in Communications. Kristin grew up in the sport of gymnastics, and competed USAG, 7 years as a class 1 gymnast, qualifying for numerous state, regional and national competitions. Kristin pursued her gymnastics career, competing all 4 years for Iowa State University, being the second gymnast at ISU to qualify for post season NCAA competition. Kristin brings enthusiasm and rigger to the young athletes of NEG trying to attain their goals. Kristin is now the co-head coach for the optional athletes. Matt is a native of Michigan where he began his coaching career in 2001. Matt coached for Gymnastic Training Center of Rochester Hills, where he acquired his skills for training athletes ranging from Level 4 – Level 10. He was nominated in 2007 for Male Coach of the year. Matt joined the National Elite Team in August of 2007 where he is heading up the compulsory program, and developing a strong regiment to help athletes excel in the sport of gymnastics. Hayley has been coaching our junior development and pre-team groups for 4 years. She came from California bringing a wealth of knowledge to the program for our beginner athletes. She is a former Optional gymnast and Team coach. She develops the solid basics of gymnastics and prepares the next generation of athletes for the NEG Team.